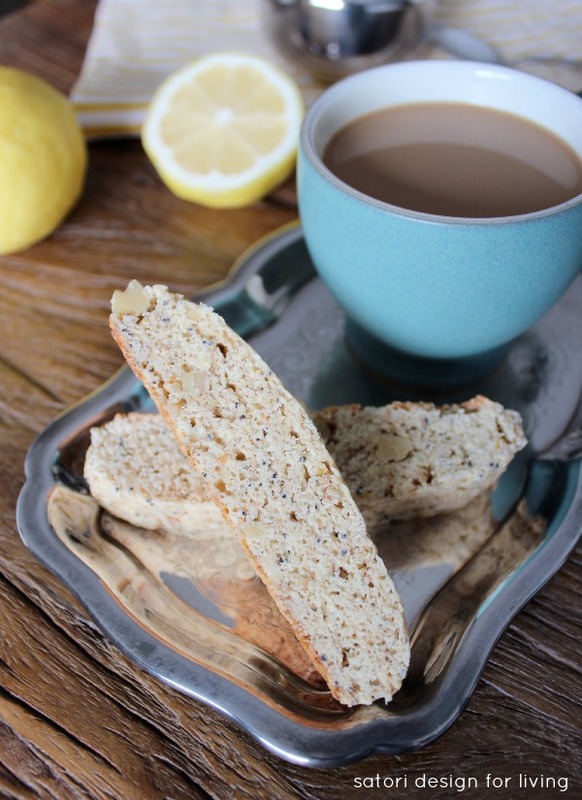 Make this lemon poppyseed biscotti to pair with your afternoon coffee or tea. A totally scrumptious Italian cookie recipe! Do you like baking? Now that my son is away at college, I don’t do near as much as I used to. A treat for me is eating dates and nuts or a square of dark chocolate. Occasionally, I crave something with a bit of crunch to pair with an afternoon cup of coffee or tea. Biscotti is that satisfying indulgence, and this lemon poppyseed recipe is a little friendlier to the waistline when compared to most cookies too. This is the time of year when I turn into a lemon fanatic. I’m not sure if it has to do with the cheery bright yellow colour or my body simply craving more vitamin C from the effects of winter. To me, recipes with citrus are fresh and vibrant, kind of like spring. Enjoy! Printable version below if preferred. In a large bowl, combine flour, baking powder, poppyseeds and salt. In a separate bowl, beat together both sugars and butter, adding the eggs, lemon zest, lemon juice and vanilla. Mix well. Stir in flour mixture with a spoon, just until blended. Add walnuts and mix well. 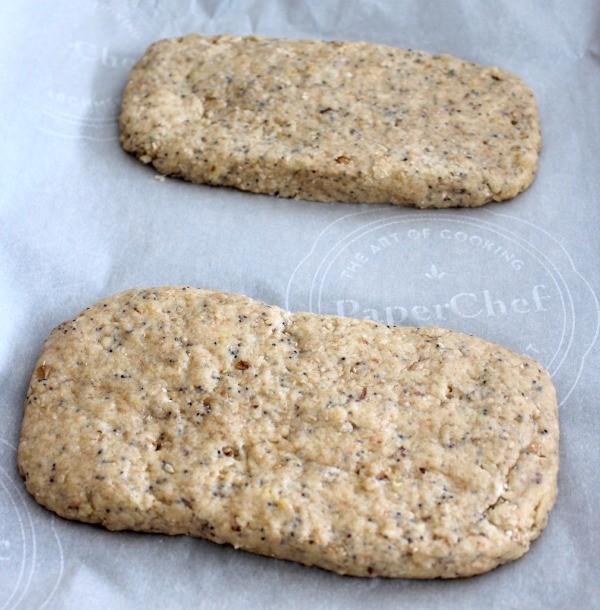 Divide dough in half and form into a loaf shape (about 8″ x 4″) with greased hands and place on baking sheet. Bake for 20 minutes. Remove from oven and place loaves on a cooling rack for 15 minutes. Reduce oven temperature to 275°F. Transfer loaves to a cutting board and slice on an angle into 9 pieces (you must eat the small bits leftover on either end!). Place the slices (cut side down) back onto the baking sheet. Return to the oven and bake for another 8 minutes on each side. Biscotti is an Italian cookie that’s perfect for dunking into your coffee or cappuccino (if you like that sort of thing). To keep fresh, store in the freezer in a ziploc bag. With my son coming home this weekend, I put mine in a glass canister on the kitchen counter as I know they’ll disappear like hotcakes- no need to freeze! 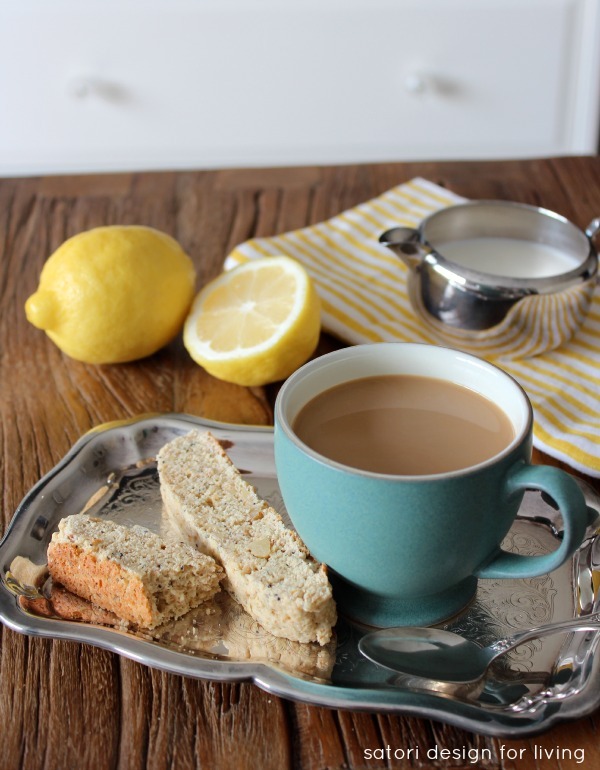 Be sure to PIN this Lemon Poppyseed Biscotti Recipe! 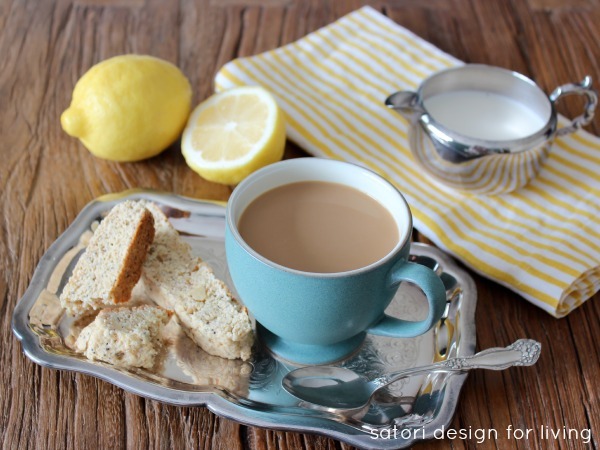 A delicious recipe for lemon poppyseed biscotti that pairs perfectly with coffee or tea! Stir in flour mixture with a wooden spoon, just until blended. 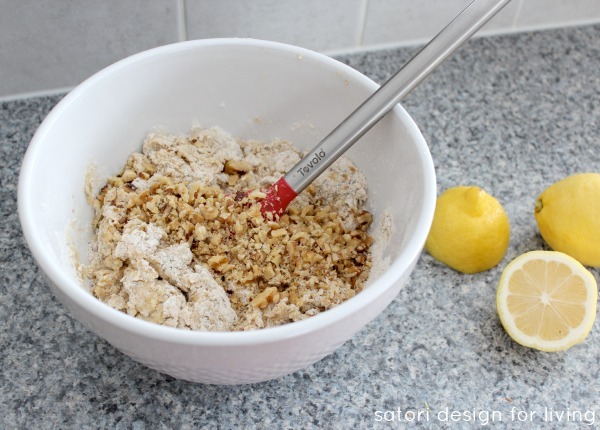 Add walnuts and mix well. Divide dough in half and form into a loaf shape (about 8" x 4") with greased hands and place on baking sheet. 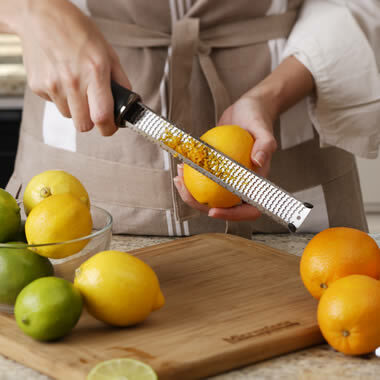 Want a kitchen tool that makes it super easy to zest a lemon and more? 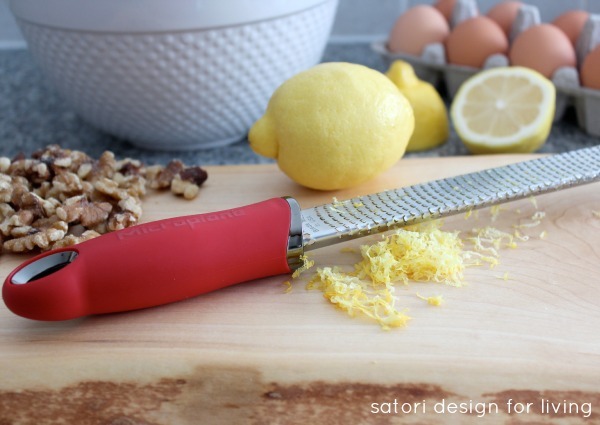 Lucky for you, Microplane is giving away a premium classic zester/grater to a Satori reader! I’ve been slowly updating and replacing many of our worn out kitchen tools we got when we were first married, and this one has become one of my new favourites. So far I’ve used it to grate nutmeg, parmesan cheese, and lemons. I feel like one of those fancy chefs on TV with all the cool kitchen tools! Definitely a far better product than the one I was using previously (and no fingers were injured in the process). Love it! Details: Winner will get to select either a red or black soft-touch handle. Open to Canadian residents only (void where prohibited). Giveaway will run from March 26, 2014 to the end of April 1st. 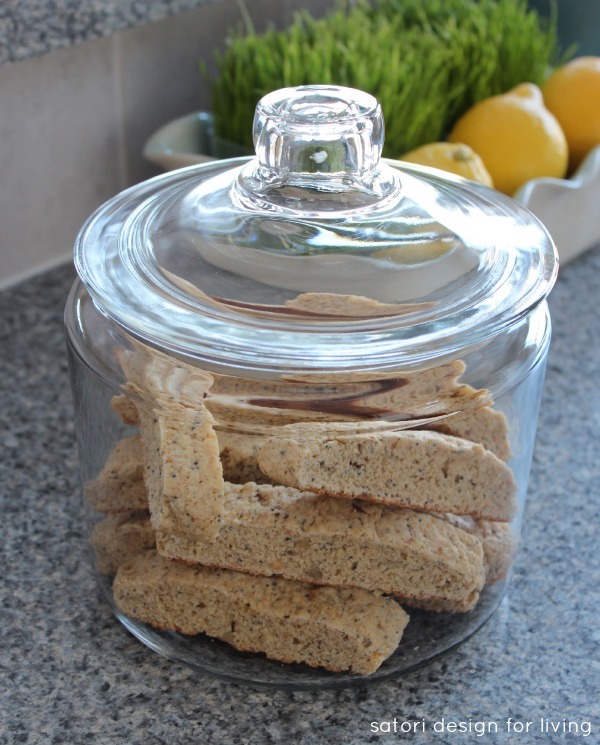 Thank you to Microplane for collaborating on today’s post and helping me share one of our favourite cookie recipes, lemon poppyseed biscotti. As always, opinions are 100% my own. I want your dishes! The recipe looks delicious, thanks for sharing. And thanks for the giveaway! I found that silver tray and creamer at our local thrift shop for a steal. Gotta love those finds, right? The Coarse Grater looks neat! Do I have to pick just one? I love trying out all different types of kitchen gadgets. Have always wanted a microplane. Wow, they have lots of great kitchen tools! Would love to try their Microplane Cut Resistant Glove since I have a tendency to grate my fingers! Meat Tenderizer would be handy! would like to try it! My hubby is usually the kitchen gadget guy in our house but I’d love to try the herb mill! I am a huge microplane fan – don’t know what I would do without it. I remember the old days of trying to scrape the lemon rind out of a cheese grater. And I love their other products too. I would love to try a rotary grater. Would love the Microplane Parmesan Rotary Grater. 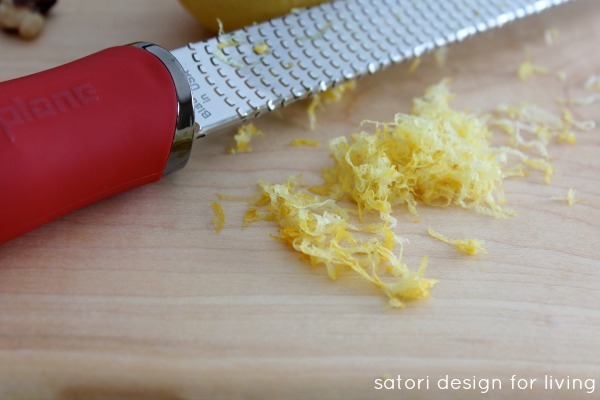 I would like to try the Microplane Artisan Series Ribbon Grater. Oh I’d love a microplane! I use lemon and lime zest in so many dishes so this would be amazing! Besides the Microplane Classic grater, I would like to try the Microplane Classic spice grater. Then everything else! seems like it has it all! Let me know if you come up with a good gluten-free version. That would be fantastic! Just the classic zester. My MIL has one and I use it all the time at her house, as it’s super handy for Indian cooking and spicing up tea. The Microplane Peeler Set — awesome! I like the rotary cheese graters, very cool! I’d like to try the Microplane Professional Series Shaver, so many recipes that I make call for shaved chocolate on top. This would be ideal. The Microplane 5-piece set looks great! I love all of your beautiful photos…and the biscotti looks divine! I checked out the products and I would like the meat tenderizer too! Lovely post Shauna! I would love to try their Microplane Cut Resistant Glove, no more band aids for me! I’d love to try the rotary grater. I have lots of “original” kitchen utensils that need to be replaced. To be honest, today I think the Cut Resistant Glove would be perfect for me. I knicked a knuckle again. I would really like the herb mill! I’d love to try the Grate & Shake Grater! I would like to try the Ultra Coarse, Medium Ribbon, Slicer and Detachable Zester. It looks really neat. Oh, that zester looks fabulous! I have their slicer, and I have to say that it’s my favourite mandolin I’ve ever owned! Hi Laura, Sorry, slight oversight. I added it to the recipe now. Thanks! Love that you use fresh lemon, it really makes such a difference.